These black plastic milk crates are made with durable, heavy duty plastic. 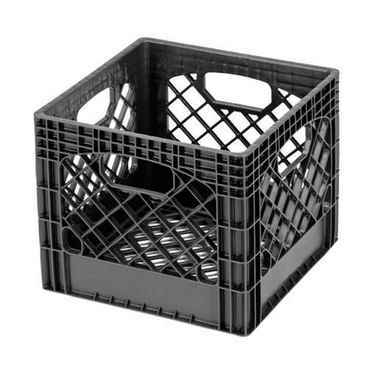 Available in a set of 96, these black milk crates come in wholesale quantities to help you save. Mix and match colors with another set for your school colors. See all Plastic Milk Crates.